Once you decide to engage a landscaping company such as Lone Pine Landscapes to have some landscaping done, it will surprise you how it improves the look of your garden. But with a little effort, your garden can also improve your skin. 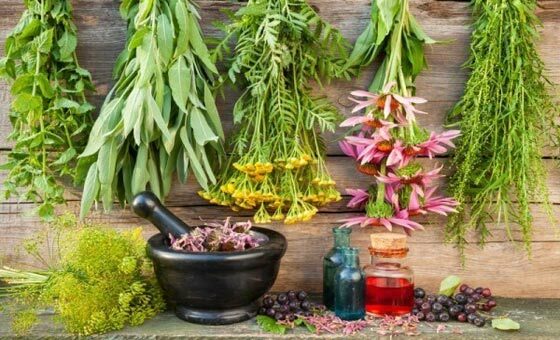 By growing certain plants in your garden there will always be something you can pick and use to help your skin look naturally beautiful, reduce scarring, treat acne or heal burns. Here are some plants you might want to add to your garden for this reason. Aloe Vera is well-known these days for its soothing, anti-oxidant properties. It is included in many lotions that help prevent or ease sunburn or other kinds of burns. Having it in the garden means you can pick a piece and squeeze the sap onto a burn for quick relief and no scarring. It may help get rid of stubborn acne and is also useful to remove make-up if you have sensitive skin. An easy care plant that doesn’t need much water. Camellia Sinensis not only has beautiful flowers you can use the petals of for a pot-pourii, if you pick the young leaves they can be used to make green tea. This is not only good for colds, but is great for rinsing your hair to make it shine and alleviate dandruff. Easy to grow with a strong tap root that makes it drought resistant. Melissa Officinalis or Lemon Balm is also great for burns, but more so for insect bites. The ferulic acid in contains helps to prevent skin damage, so it’s also good for sunburn. Sage is a powerful plant that has many healing properties. It fights free radicals in your body and is a natural astringent for oily skin. It has lots of Vitamin A and calcium, both important for cell regeneration. You can boil the leaves and use it as a hair rinse or skin toner. Watch for mildew in the plant, making sure there is plenty of air flow. Mint is another herb that is great for the skin, fighting pimples and soothing itchy or cracked skin due to the salicylic acid it contains. Boil the leaves and soak your feet in the water or mash them up to spot-treat a pimple. Loves moisture so water regularly. Lavender flowers are antiseptic and anti-inflammatory, added to your favourite cream they not only smell wonderful, but sooth the itch of eczema and dermatitis. The plant needs good drainage and air circulation. Calendula is an easy to grow, brightly coloured flower that has high levels of flavonoids and caratenoids which are powerful antioxidants. It is great for chapped lips, to plump skin and reduce lines in the face. Simply add the flowers to your bath and soak it up. This plant likes a shady spot.